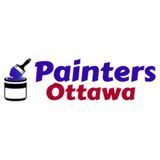 At Painters Ottawa, we are more than just painting company. We are a team of trusted professionals whose main mission is the pursuit of exceptional quality and customer service. We are dedicated to taking the headache out of hiring a contractor to complete your next painting project and give the best value to every cent you spent.